Are you operating in a rest deficit or a rest overflow? What quick fixes have you tried to overcome a rest deficit? Did they help? Do your relationships feel draining or restoring? What’s one tip you heard today that could move them into the restorative category? 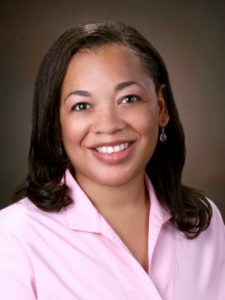 Dr. Saundra is an author, speaker, and board-certified internal medicine physician. She has an active medical practice in Alabama (near the Birmingham area). Dr. Dalton-Smith is a national and international media resource on the mind, body, spirit connection and a top 100 medical expert in Good Housekeeping Doctors’ Secrets. She has been featured in many media outlets including Women’s Day, Redbook, First For Women, MSNBC, and Prevention. She is the author of Set Free to Live Free and Come Empty (winner 2016 Golden Scroll Nonfiction Book of the Year and 2016 Illumination Award Gold medalist). Her newest release is Sacred Rest: Recover Your Life, Renew Your Energy, Restore Your Sanity, including ground-breaking insight on the seven types of rest needed to optimize your productivity, increase your overall happiness and live your best life. Amy Carrol: Amen. 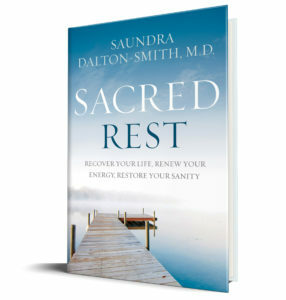 Well Dr. Saundra, I feel more relaxed just reading the title of your book, but tell us, why did you write “Sacred Rest”? Dr. Saundra: Honestly, it’s like my memoir. I basically burned out myself. I burned out and during that process of getting to that lowest place in my life, I didn’t feel like I had a lot of resources. I had a lot of people telling me the things I needed to do, and it all boiled down to rest and sleep more. Rest more, remove the stress from your life, find work life balance, which doesn’t exist, or either work life integration, which is what I like to call it, or harmony. You know what you need, but you can’t really find out how to apply it. When I was trying do the things that I thought we re restful, I didn’t feel rested, and so that’s when I knew something was not right, because if I’m doing all theses things that are supposed to be helping me rest more, and their just stressing me out, then there’s some kind of disconnection between what rest really was and what I was needing, or at least what people were telling me rest was. Cheri: Alright. Boy you’ve already said so many things that make me curious now. Our listeners are recovering perfectionists and people pleaser and also those who are highly sensitive people, and just the whole idea of doing what were supposed to and not getting the results, i mean that’s just unbearable. That’s so unfair. Now, in your book you use the phrase “Chronic Rest Deficit”. This sounds very serious. What do you mean by this, and in what season of life is a woman most likely to experience a “Chronic Rest Deficit”? Dr. Saundra: Yes, a “Chronic Rest Deficit” is that most women call it that feeling of overwhelm, where your constantly tired all the time, you’re going to sleep at night, you wake up and you’re still tired. There’s never a point where you feel energized, renewed and restored, you just feel like the day drags on. Life drags on. Everything is just kind of a continuation without any real periods of restoration or reeling revived or re energized. A lot of us have gotten into that point where our chronic rest deficits are norm. We think that’s just how were supposed to feel, we’re always supposed to be tired because were always so busy. What happens with that is, when women get into what I cal their fruitful years, the years when they have … kind of the background, the training, the finances to do those things that they feel called to do, then they go deeper into their rest deficit because they haven’t learned how to restore themselves, and that was the journey I learned when I each writing the book, and when I was praying through the scriptures and asking God for some directions on what does he mean in Genesis when he’s telling us to rest and to honor the Sabbath was that … We really have to look at rest as equally restoration. When I was trying to do all those rest and sleep activities in the past, I was thinking of it as “Oh I just need to make sure that I find time to stop, and unwind, and to cease activity”, but unless you’re actually having restoration in an area, then it’s not true rest. Cheri: That makes so much sense. So I was gonna ask you for your top tip for recovering from chronic rest deficit, but then I read in your book you said “We want quick fixes to problems that require slowing down” so I’m guessing you’re not going to give me any top tip. Dr. Saundra: … No top tip. 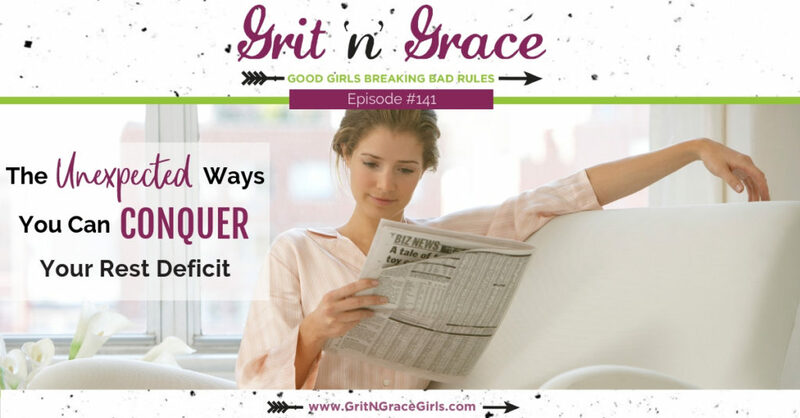 Cheri: … Those of us who are recovering perfectionists, we love our quick fixes, so the fact that you don’t seem to have any isn’t music to our ears. What do you mean that we want quick fixes to problems that require slowing down? Dr. Saundra: Well, as a physician, someone comes in and they tell me they’re tired or they can’t sleep, they want me to give them a pill, the magic bullet that’s gonna just make it all better. That’s the mindset we’ve kind of gotten into “Well I can’t sleep, I just need a medication to knock me out.” And yes, sometimes those are beneficial, sometimes those are actually needed, depending on the situation. The goal is never to have a medicine be the curative. They’re to be kind of aids to help us find out what the underlying problem is, so then we can do the necessary work to resolve the actual issue. So for many of us with our chronic rest deficits, we can do quick fixes. We can try to do a vacation, or we can take a week off to just lounge around, but until we realize that rest has to be more of a lifestyle, because if you want to constantly be able to pour out into your family and your ministry, you have to be constantly pouring in. It can’t be just this one time “I’m gonna go for our week long vacation and that’s gonna fix it.” It has to be looked at as a lifestyle. What does my restful, well rested lifestyle looks like, that allows me to actually be able to consistently pour in, so I can joyfully pour back out. Cheri: Alright, well you also talk about working with patients who don’t wanna hear the truth about their condition, like when you say … When you suggest they don’t need the sleeping pill, as their first option, that they don’t wanna hear it. Why do you think were so resistant to the truth when scriptures so clear that the truth will set us free? Dr. Saundra: Well, I think in the areas of rest, we’ve kind of been programs to think that work is more important. We look at rest and we kind of see it as this cop out, as this extra thing I’ll get to if I have time for it. It’s kind of like that great book on the shelf, and you’re thinking “I’m gonna read that”, and then two years later it’s sitting there. That’s how we do rest. We kind of put it aside for later when we get around to it, and then all the time were constantly becoming more and more depleted. Most of time we’re becoming angrier, because it’s hard to be happy when you’re tired. And then were becoming less productive or if we’re producing, we’re producing at a lower quality of what we’re capable of because we don’t have the strength or the stamina, even the creativity to pour out at our best. I think that’s the mind shift that I usually have to do with a lot of people is that … particularly high achievers or I call high producers. People who are constantly kind of delivering it at a high level, they have really … through the workforce and through their training been shown that to be able to be at your best, you have to strive, strive, strive, and grind it out. And they don’t really appreciate that to really produce your best fruit, it requires you to have some time where you’re intentionally resting. Cheri: Okay, I don’t like the way Amy’s looking at me right now. Amy Carrol: I might know my friend well, Dr. Saundra. This is such a great lead in, what you we’re just saying, just come quotes from your book that just hit my heart where you said “If I’m not doing something, I’m wasting my time.” Or you said “I feel I’m nothing if I’m doing nothing.” That second one, really hit me. So for those of us that are doers and wired that way, we feel like as long as we’re getting seven to eight hours of sleep, we’re doing just great. Would you agree with that or do you have some different thoughts? Dr. Saundra: It really depends on how the person’s feeling. When I’m working with my own patients, what I usually ask them is do they feel like they are capable to pour out in the major area of their life, or do they feel like people are pulling from them and kind of draining them in their life. For example, I have a lot of patients who are women, and so they have kids and they have a husband, and so these are blessings. Children and marriage should be a good thing, but if every time their husband comes to them for intimacy or just to hang out, they automatically have this push back, their defensive, then that tells me there’s something going on there. They feel like that relationship is draining them and not restoring them. So then we have to look at how to we pour back into that relationship because that’s not how it should be. When a relationship that supposed to bless you becomes a relationship you become defensive against because you feel like it’s taking from you, then there’s an imbalance there between the work rest ratio that’s going on, because our relationships should be restorative. Our ministry should be restorative. Our careers should be restorative. 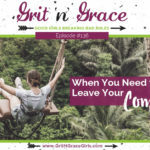 There should be points in every place we’re pouring out where we feel like we are getting poured back into, otherwise we get resentful, and then who knows what’s gonna happen at that stage. Amy Carrol: That is super powerful. I might be recognizing some of myself in there, so that was powerful. You also say “I can’t please anyone, including myself, when I’m burned out” and I think we can all really relate to that. Can you unpack that for us? Dr. Saundra: Yeah. That’s really where I started at in my journey. I had everything that I had prayed and asked for, you know I had the family, the car, the house, the job, the husband. All those things that I said I wanted, I got to a point where I had them, and I had picked up my kids from daycare and literally ended up laid out on the floor because I was just in such a bad place, a bad head place from the grinding out of my life. What I realized at that time is that I had really built a life that was completely against what I had wanted. I thought I wanted one thing, and I was building and working towards that, when what I really wanted was a life that felt good to live, and that’s not what I created. I created a live that looked good to live in, but didn’t feel good to live in. We let ourselves down when we do that. We create these beautiful pictures … The Instagram life, where it looks so beautiful, but it does not feel beautiful, and it does not fit really what our core desires are. I think when that happens, you can tell when somethings amiss. I think, really, God never wants any of us to be in that place where our spirit and our body and our minds are kind of, in disagreement of what we really want because you feel that pull and I think that’s what we can’t really give to anyone else when we don’t really know what we want. We don’t really know what it is that we truly need to feel whole and complete. Amy Carrol: Speechless. And then the final … This final quote is really so wise. You say to take an inventory of the people in your life who drain you and those who refresh you. Why is that so important, and this is the bigger question, how can we do this in a way that’s loving? Dr. Saundra: Well, and that’s the thing because sometimes when you take that inventory, like I said your husband and your kids are who pops up on the list, and just because someone is draining doesn’t mean that they are negative influence in your life. It just means that you have to be aware of that so that you restore back into those same areas. I think one big area that I see a lot of times is with kids, particularly teens, if you’re a parent of teens they’re extremely draining just because of their own personal transition that they’re going through. So if you don’t recognize that they’re draining you, then what happens in your relationship becomes further and further apart because you never think that “I need to pour into that somewhere” and I need to allow them to pour into me. Because your kids still love you, even when they’re acting crazy, you know. That’s just the nature of being a teen. So you have to create those moments sometimes and kind of be mindful of how they connect. Sometimes what I’ll recommend to parents when they’re trying to connect with their teen is send them a text. That’s how they communicate. Middle of the day send a text that says “Thinking about you. Love you. Praying for your test”, whatever. Because they don’t expect it. They’re getting texts from everybody else, but usually the text from us is like “Where are you at, it’s 10:00.” It’s not usually a positive thing, so get into their space in a way that you’re pouring back into them. That opens them up to want to pour back into you. That relationship kind of gets that constant ebe and flow that it should have from the filling and the draining that comes with it. And a way of doing it … Other situations, lets say if you’re with a coworker who you just don’t jive with, it’s just not a good thing, and you’re still having to be in that relationship. 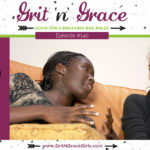 Those types of draining relationships, what I recommend is absolutely extend grace for that difficult person that you don’t necessarily enjoy being around, but be aware that they drain you, and then right after coming out of that persons office lets say, you may want to be mindful that “I’m not in a good space right now. If I go talk to somebody else I’m probably gonna snip their head off, so let me get with someone who’s life giving to me. Let me have a quick Skype conversation with my girl, and she can get me back into a right space” because I think it’s important to know who is live giving to you cause sometimes you need that person to help fill you back up after someone really has drained you. Dr. Saundra: Except for those who are related to you, probably. Cheri: Yeah. So what’s your point. Dr. Saundra: Can’t get rid of them. Cheri: What I hear you saying is I have to know myself well enough to take that extra responsibility then, to make sure that I’m counter balancing or counter acting that draining with something life giving, and that’s my responsibility, and I don’t get to blame them and … Wow. Okay. I guess more good advice for growing up here. Dr. Saundra: It is. And that’s … I think that’s part of the hard part we’re talking about, because it does take some self analysis to really know where you’re at personally. I think, honestly, that’s why I came up with the Rest Quiz. Because I wanted people to realize that a lot of this are things you have to be mindful of because no one is going to … No ones going to take the responsibility of keeping you filled up except for you. Cheri: Yeah. Oh yes. I think that’s a thing that somewhere around 50 we finally figure it out, but it would be so nice to figure it out much, much sooner It would save us a lot of that bitterness and resentment that you we’re talking about. I know that when I think of rest, my first thought is sleep, like that’s the only thing that comes to my mind. Rest and sleep are the same thing. I do my best to do that at night, and I’m not a napper, but you define rest much more broadly. Could you kind of expand on that for our listeners? Dr. Saundra: Yeah. When I looked at the whole concept of rest, like I was saying in the beginning, rest is this huge lump that we look at and you say “Oh you need to get more rest” and that wasn’t working for me. What I started to do was to look at the different areas of my life that I was draining, and I started going through the Scripture to look at how people in their lives we’re looking at being depressed or being … Having their energy levels down, and what I came up with we’re basically seven types of rest that I felt like came from the Scripture as well as came from just personal experience of working with patients. And then I started looking at the science because the medical part of me likes to see if there’s any literature or research that backs all of that up. I think the Scripture and the sciences should actually compliment each other. And there were, there were seven different areas where they perfectly complimented each other and there was enough research actually behind them that I felt confident about listing them. Those we’re physical, mental, emotional, spiritual, social, creative, and sensory. Those seven types of rest we’re how I started looking at my life. I was doing great with the physical, which is the sleep, well, sleep and what I call passive physical rest which are things like stretching and self massage and things like that. So the physical part I was doing great in. I was doing horrible in the social rest part because I focused so much on my career, I had let all my friendships go, and so I didn’t have anyone that I could vent to. All of that was just bottling up in me all the time. The creative rest part, that’s one that a lot of people are not as familiar with because we don’t think that beauty is a part of us and we don’t think that creativity, the appreciation of it, restores us in any way, but there’s so much that we are learning in science, and a lot of people will even say “If I go to the beach I just feel so much better.” That’s what creative rest is, is the rest we get from the appreciation of beauty, and that’s whether it’s natural beauty, or if it’s in manmade like artwork. But it’s that beauty that makes us feel awe and wonder and that restores us in that process of feeling like that. Cheri: So we’re gonna recommend highly to our listeners that they … Well first of all, get your book, and … Which is beautiful written by the way. Cheri: One of the reasons I want to slow it down … I’ll go ahead and confess to our listeners, I was listening to the audiobook at double speed, which is ultimately ironic. But, you are such a good story teller, and I love the way that you weave in the science and the Scripture, it all just feels so natural. Dr. Saundra: Well thank you for that. Cheri: Between now and the … Amy and I will do a conversation where we process what we have learned from you, and we’ll take the quiz, and we’ll talk about it ourselves. Dr. Saundra: And you can’t fair the quiz. That’s what everyone says “I failed the quiz”, like you can’t fail the quiz. It’s a simple assessment. 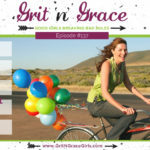 Cheri: All the perfectionists are like “I got an F.” Well speaking of getting an “F”, many of us we’re raised in homes where the word rest was synonymous with the word lazy, and we all know that lazy is a four letter word, so how can we meet our needs for rest and sleep without being considered lazy by other people, or the ultimate curse word especially in Christian circles is seeming selfish. If it has the word self, it must be bad. How do we reconcile all this? Dr. Saundra: I think from a Christian standpoint, when I look at it, I look at it from … I start it from Genesis when I start it with the Book. Literally, most of the book, I’m reading through Genesis as I’m writing the book, because I felt like God really gave us a framework early on about what it should look like. What I tell a lot of Christian women when they tell me that, I’m like “Lets look at the … Just look at the creation story.” We we’re created in the sixth day, right? Man was created on the sixth day, so the seventh day was our first full day on earth, and what we’re we doing our first full day? God didn’t start us off in work, He started our first full day in rest in His presence and enjoying Him, and looking at everything that He had already declared good. So often in our lives, we never look back at the good things in our life and declare anything good. We just keep looking forward to the next thing, and the next thing, and the next thing and we always think that we’ve got to earn the our right to rest, when God says that’s not true. 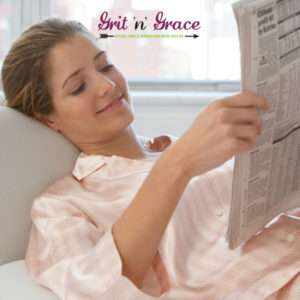 We are suppose to begin in a place of rest, and it’s from that rest that we do our best work. That’s how we get to the point that we are able to really experience what God … What I feel like God calls the “Abundant Life.” Where we are overflowing into the lives of others, and we never feel drained because we are giving people from the overflow, and so we stay filled as we are pouring out into others. Cheri: That is so good. That is so good. I would tell you that you made Amy cry, but my eyes we’re too busy tearing up, I didn’t get to see. Amy Carrol: This is speaking to me though. I mean, I’m soaking it in. That’s really good Dr. Saundra. Cheri: Alright, well one other thing that you said in the book that just made my heart happy is you said “Allow room in your day for therapeutic silence.” This sounds amazing, but what is it? What is therapeutic silence? Dr. Saundra: It’s allowing the stillness to heal us because so often people say “Well I just don’t feel connected to God. I just don’t feel good. 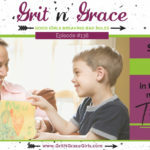 You know I just feel so frazzled and my heads not clear.” When we actually get into complete silence, which is something most of us don’t do, we’re either playing Christian music, or we’re listening to something on the radio or whatever. We rarely have periods where we are just in complete silence. And in complete silence is where we get to clear out our head space because that’s when all the thoughts start coming to your mind, and you can start processing things. When I tell most women to do is when those thoughts come to mind, don’t just let them kind of roll around. The mind works in such a way that it needs to have things dumped out at time, so brain dumping really helps if you have trouble sleeping at night because of that. To actually write down whatever it is that’s going through your thoughts, don’t process it, don’t try to analyze it, don’t try to fix it, just write it down. And then, outside of your times of therapeutic silence, that’s when you take it to God in your prayer time. That’s when you, the next morning you sit down with God and the bible and say “Why am I made that she got this and I didn’t?” And you process through those things then, not when you’re during your times of therapeutic silence. The therapy in the silence is because it lets you clean out yourself. It allows things that are running around to be poured out, so that you don’t stay toxic, and I think that’s the issue. So often many of us stay toxic, and we never pour it out, and then God’s never able to heal it. Once we’re able to identify it and bring it to Him, that’s when He really does the healing. He can reveal things to us. Cheri: I love it. That makes so much sense. Amy Carrol: Dr. Saundra, what closing words of encouragement would you like to give to our listeners? Dr. Saundra: The number one thing I would say is just to look at rest in a different way. You don’t have to understand all seven of the different types of rest. If you can just get the concept that rest equals restoration, so when you say “I’m going to go rest” think to yourself “What am I restoring” and to begin with “Where am I depleted?” Because if you’re depletion is not in the physical, then sleep is not gonna fix it. So you really have to get to the point of identifying what is being poured out, and then how are you gonna restore that? What is the systematic things you can restore rest in that area. Rest and sleep aren’t necessarily the same thing. Focus on meeting your restoration needs.